Who would have thought that the Buff-bellied Hummingbird that showed up in September would still be here in December? He’s been very cooperative and birders from all over the state (and farther) have come to see that beautiful bird. 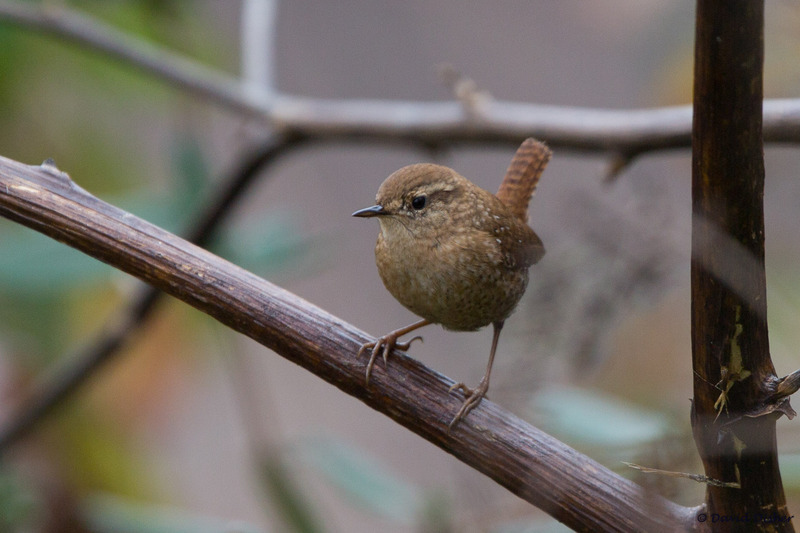 But, he’s had enough time in the limelight, so let’s turn our attention to a gorgeous little Winter Wren. David Disher captured this lovely portrait of a winter favorite at Archie Elledge. The Photo Big Year is here for 2015. See our blog post Forsyth County Photographic Big Year 2015 for the introduction. We hope that everyone will have fun with this, both folks submitting photographs for publication on the blog and readers anxiously awaiting to see what species is next to get captured by the camera. Information about how to participate follows the links to the photo pages. Species will be split into four pages by taxonomic order as follows. Just click on a header to go to that page. Here are the details for participation. All photographs must be taken in Forsyth County during the 2015 calendar year. Send your photos to PhotoBigYear with the species name, date, and location. If your photo is posted online and you want it linked to that location, include the url. Send full-size photos in an attachment rather than imbedding photos in your message. Don’t reduce the size for the web/email or anything that lowers the quality. We may crop your photo, but we will not alter it in any other way without your permission. If you crop your photo, use a 3×4 aspect ratio. Landscape orientation is preferred. You will have at least one entire day to submit photos. For example, on January 5, we will only process photos taken between January 1st and 3rd. We will choose the best photo of each species using the criteria listed below. Once a photo has been posted, it will not be replaced. Check these lists often and please do not submit photos of species that already have a photo displayed. If you have a better photo, save it for later and another possible bird photo project. Exception to above item: If you have an outstanding photo, send it in regardless of whether a photo for that species has been posted. We will feature the best of 2015 photos on a special page. If we are unable to determine whether the species is identifiable from your photo, we will ask for help from our team of experts. The standards for photo selection are not written in stone and may seem a bit arbitrary, but I’ll do the best that I can. Here are some points for consideration. There will be higher standards for common birds presenting numerous photo opportunities than for uncommon or difficult-to-photograph species. We’ll take any photo of a Whip-poor-will that is clearly identifiable! The key distinguishing characteristics of the bird should be visible (ideally you should see the entire bird). Birds photographed in natural settings will be given priority over those photographed with man-made objects (e.g. feeders). The photo should be clear and not blurry and the eye in particular should be sharp. A little light reflected in the eye makes the bird come alive. The composition and lighting should be good and the background should not be distracting. How many photos have already been published from the photographer? We’d like to give as many people as possible a chance to contribute.